Looking for a sales-proof Valentine’s bouquet with a twist? 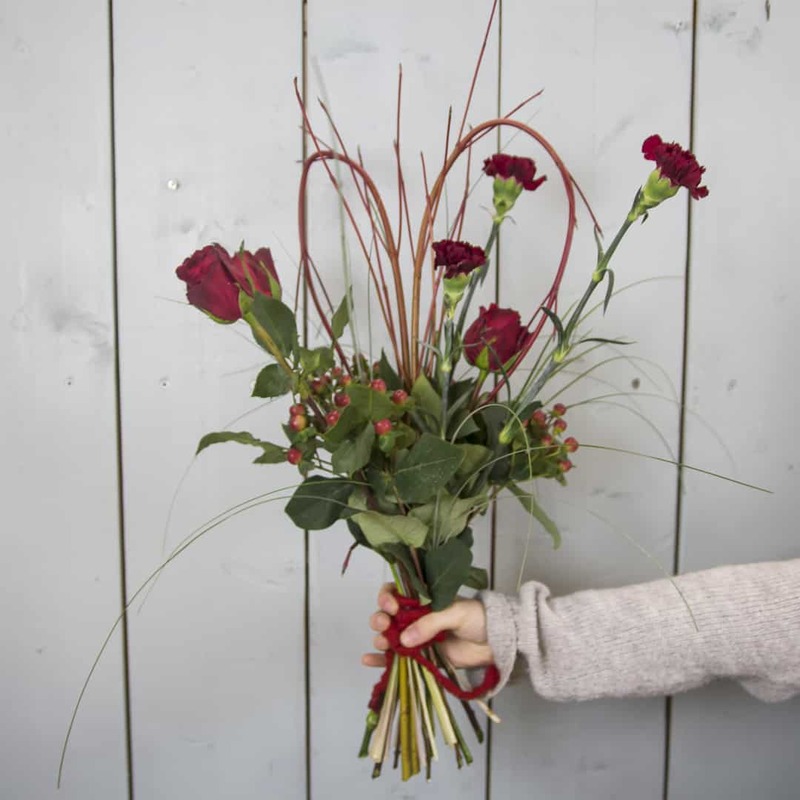 Create an instant V-day look and feel by adding a heart made of Cornus branches! 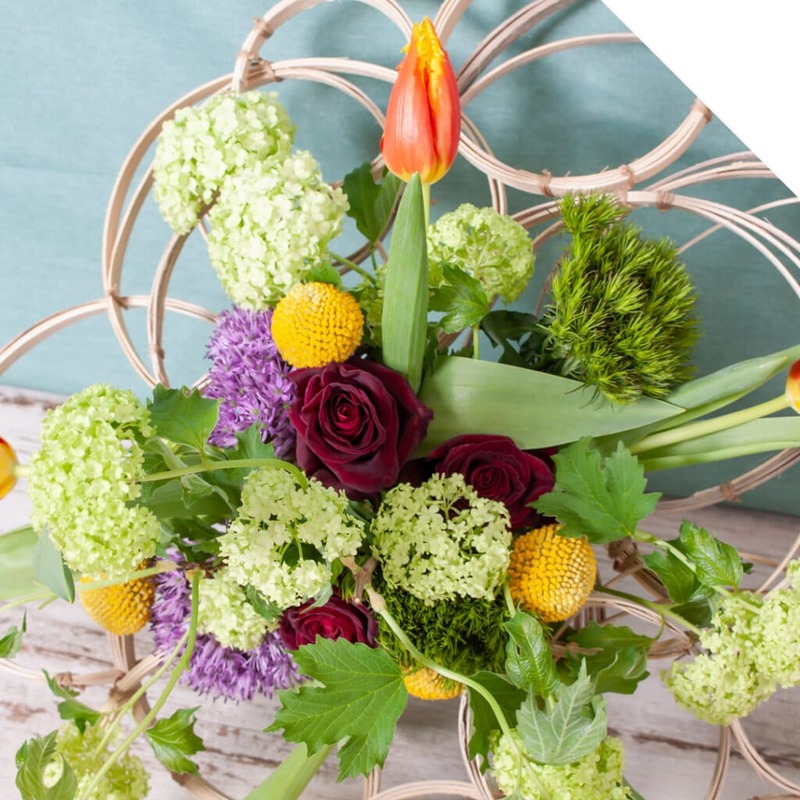 Be inspired by this video tutorial about how to make this whimsical bouquet with Cornus heart, follow the steps and create your own! Cut the side branches at the bottom of one of the Cornus branches. Bend the branch and secure it with fix. Do the same with the other branch, but when you secure it, hold the other branch aside and secure it to each other so you create a heart shape. Hold the heart shape in your hand, and add the Roses at various levels. Do the same with the Dianthuses. Add the Hypericums at the bottom. Add the Beargrass in little bundles at the bottom, for extra texture. Cut all stems at one level. 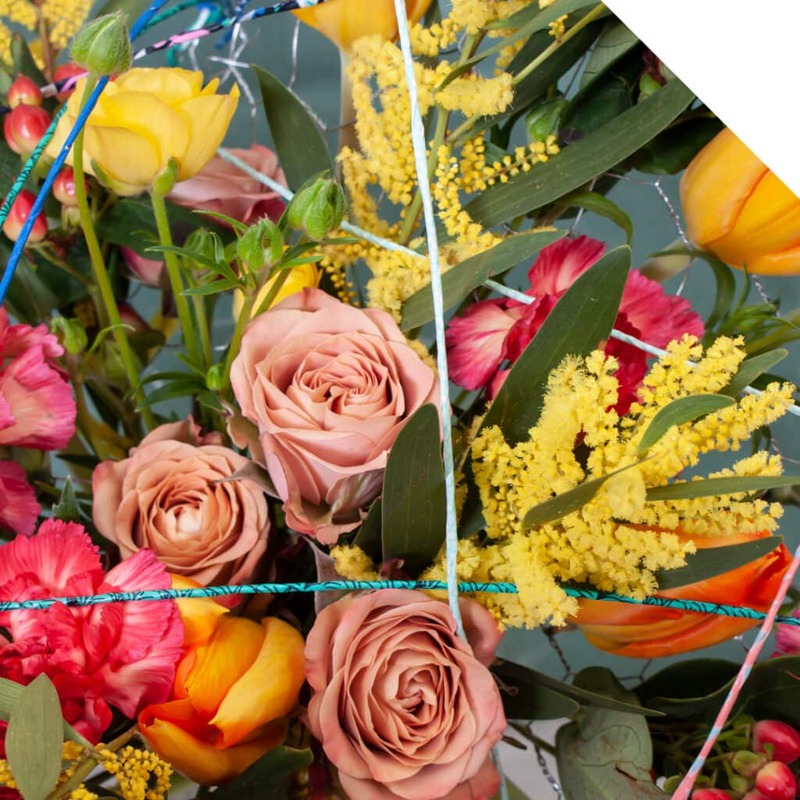 Secure the bouquet with fix and cover the fix with the woolen felt rope. Your whimsical bouquet with Cornus heart is ready! Enjoy!